University of Central Florida hand painted sports glasses are a favorite among fans and alumni who root for the Knights. What better way to root for your team than by giving University of Central Florida football glasses with the UCF logo and football designs. 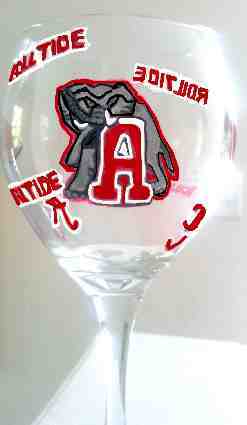 We hand paint on a wide assortment of glasses. Which glass would you like to give for your UFC fan? 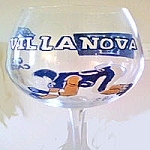 Clearly Susan's hand painted UCF wine glasses embody several designs of the helmet, shirt, flag and the logo.